If you’ve just had some teeth knocked out, don’t live with the gap for long. Instead, start taking the steps you need to complete to replace those lost teeth with dental implants in St John’s Wood. At Aura Dental, we encourage our patients who have recently lost teeth to get them replace as soon as possible, especially if they want dental implants in St John’s Wood. The reason not to delay is that as soon as your jawbone loses the tooth root, it stops receiving vibrational signals that the bone is still in use. The vibrations come from the teeth in the upper and lower jaws coming together. When those impact vibrations cease, the bone interprets this to mean that there is no more chewing going on. The body starts to dissolve the bone in the gap to send the nutrients for use elsewhere in the body. The jawbone can lose up to 25% of its size and density in the first year alone after tooth loss. Dental implants need to have a good jawbone to integrate with, so it’s important to get them put in before the bone starts dissolving itself. Book a consultation as soon as you can. We take an in-depth look at your jawbone to make sure it can sustain dental implants. We use the information we gather from x-rays and scans to plan your treatment. We insert the dental implants under local anaesthetic. We find this is all we need to numb the area, but if you are nervous, we can also give you sedation to relax you during the procedure. It takes 2-6 months for the implants to integrate with your jawbone. During this time, you will start off on a liquid diet for a week or so before moving to soft foods. It is only when your healing is complete and the crowns are attached that you can move onto a wide and varied diet. It’s a bit of a wait, but it’s worth it. Want to find out more? Give us a call at Aura Dental. This entry was posted in Dental implants on 27th March, 2019 by Aura Dental. 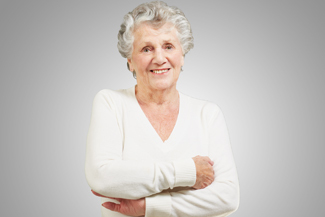 Loss of teeth can be experienced by anyone at any age for many reasons. Anything from sporting injuries, misadventure, trips and falls, gum disease, age-related loss, removal due to other medical conditions and even removal for other dental procedures. No matter how your teeth are lost, the results will be the same: loss of function and destabilisation of the dental chain. Our teeth comprise of two main parts, the root and the crown. The crown, as you’ll be aware, provides function for biting and mastication of food. The strength to do this is provided by the root that anchors our teeth in place. The roots rest in the jawbone in a symbiotic relationship that supports the form and function of each other. When roots are lost, the jawbone deteriorates, which then affects the stability of adjacent teeth; it’s therefore important to replace this relationship as quickly as possible to stablise the dental chain. Dental implants are the only dental prosthesis that replaces your roots. Crowns, bridges and dentures look and can even feel like the crowns of your teeth. They will provide some of the same function, but they will never be as strong, as they are not anchored by roots. 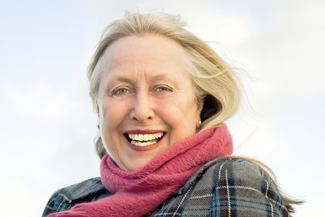 Dental implants in St John’s Wood combined with a single crowns, bridges or dentures creates complete teeth replacements, from root to pearly white teeth. These artificial roots for teeth are surgically placed into the jawbone. Dental implants in St John’s Wood consist of three distinct parts: a metal screw made from titanium, an abutment that connects the post with a replacement tooth, and the replacement tooth option. They key to their success, however, comes from the relationship between titanium and bone. Titanium is biocompatible, meaning it will fuse with your jawbone, encouraging continued bone growth. This prevents jawbone deterioration which, left unchecked, results in shrunken cheeks and premature aging. This fusion also creates the solid bond that enables the dental implant to be permanent, stable and capable of enacting the same bite forces as your natural teeth. This long-lasting solution ensures you’ll remain looking youthful and able to eat anything on the menu even if you may have crowns, bridges or dentures. This entry was posted in Dental implants on 13th March, 2019 by Aura Dental. 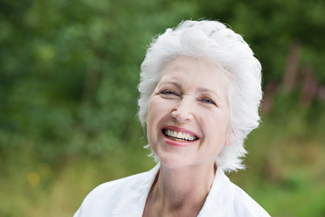 Why might you need to get dental implants in St John’s Wood? While our image of the toothless may be of people in the older age category, or those who’ve had a rough life, there are many reasons why we lose teeth. One is gum disease. While most of us will get mild gum disease at some point in our lives, without proper care, maintenance and treatment, our gums can develop the advanced form of the illness. This causes the gum tissue around the tooth to recede, affecting the stability of the tooth, and in some cases causing it to fall out. Gum disease happens for many reasons: it can be the result of taking certain medications, because of conditions such as heart disease and diabetes, diet and nutrition play a part, as do oral hygiene routines. Pregnant women are more likely to get gum disease, and lifestyle habits such as smoking can also affect the gums. Some of us are unlucky enough to have a genetic pre-disposition to thin tooth enamel, meaning it’s more likely we’ll need to replace our teeth at some point. Age is another factor in tooth loss: like any body part, the process of living has its effect and over time teeth are worn down. Though the young are not immune to the need for dental implants in St John’s Wood. Take those involved in contact sports – it’s not hard to get an elbow to the mouth in a rugby scrum or fall flat on your face while out on the BMX track. And tripping up and cracking or knocking out a tooth on a big night out is easily done. 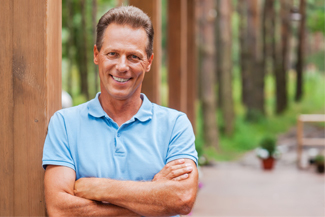 Whatever your reason, if you’ve lost one, a few or all your teeth, dental implants in St John’s Wood can help you get back the look, feel and function of your natural set. Because implants replace the tooth root as well as the crown, full chewing power is restored and there’s no chance your teeth will slip out and embarrass you. Talk to our implant dentists at Aura Dental today and find out if dental implants in St John’s Wood could be the way to restore your lost smile. This entry was posted in Dental implants on 22nd February, 2019 by Aura Dental. Losing one or several teeth is something many of us may fear, especially as we grow older. Today, however, tooth loss does not have to be a lifelong hassle. Dental implants provide a reliable method for replacing teeth, whether you have lost one, several or all of them. At Aura Dental, we are passionate about helping our patients achieve great smiles, and dental implants are our method of choice for replacing lost or badly damaged and decayed teeth. Our experienced dentists will examine your mouth thoroughly and help you decide whether dental implants in St John’s Wood are the right choice for you. Most patients can benefit from dental implants in St John’s Wood as long as they are healthy and have enough bone tissue left in their jaw. Dental implants are artificial tooth roots made of titanium. Our experienced and highly skilled dentists will insert the dental implants into your jawbone and the titanium will gradually integrate with your bone tissue. Dental implants provide a stable foundation for replacement teeth to be attached to, which can be in the form of single crowns, bridges for several missing teeth in a row or dentures for an entire arch of missing teeth. 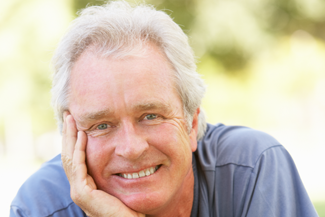 What are the benefits of dental implants in St John’s Wood? Dental implants offer an enduring solution to tooth loss and unlike conventional bridges and dentures, they do not need replacement every few years. One of their biggest advantages is that they feel and function just like your natural teeth. The result is a natural smile that can bring back your confidence and restore your full oral function. Dental implants also protect the jawbone from deterioration, encouraging the growth of new bone tissue and ensuring the jawbone receives vital signals from the teeth clashing together. Finally, dental implants are durable. 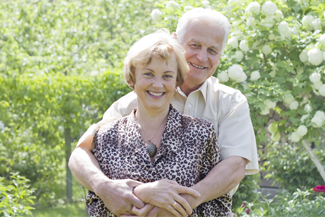 With proper care and oral hygiene they can decades, if not a lifetime. Interested in dental implants St John’s Wood? If you have one or more missing teeth and are not sure whether dental implants would be suitable for you, contact us today to arrange a consultation. This entry was posted in Dental implants on 26th December, 2018 by Aura Dental. 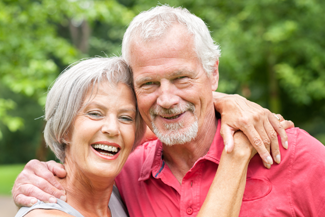 Dental implants offer a diverse range of options for those who need to replace missing teeth. Had one tooth knocked out in a rugby scrum? Check. Fell face first into a curb and lost a few teeth in a row? Yes, can do. Tooth decay got the better of you and you need a whole new arch? Got it covered. And as well as these treatments, implants can also replace a whole set of missing teeth in St John’s Wood. Dental implants at Aura Dental can stabilise a new or existing set of dentures, offering you back the full chewing power of natural teeth. The reason the implants become so secure is because they are made of titanium. This miraculous metal is biocompatible, which means that the body views it as natural tissue. It grows blood vessels and bone around the implant, making it a functioning part of the body. We offer a service called Teeth in a Day. This replaces a whole arch or set of teeth in a single visit. First, any remaining teeth will be removed. Then, 4-6 implants will be placed in each arch. If you need your jawbone shoring up to secure the dental implants in St John’s Wood, our implant surgeon may also carry out bone augmentation work at this point. Then a temporary bridge is fitted to the implants. This is because the implants need 3-6 months to heal and fully integrate with the jawbone. During this healing period you need to be careful with your temporary teeth and not place them under too much strain, especially in the first few weeks following surgery. Because implants replace the root as well as the crown of the tooth, they provide as much chewing power as natural teeth. Once your dental implants in St John’s Wood are fully secure, your permanent dentures can be fitted. You can then once again enjoy any food you like, without fear of your teeth getting stuck or falling out. This puts crispy apples, chewy steaks and crunchy nuts back on the menu. Good for your nutritional health as well as your taste buds. This entry was posted in Dental implants on 14th December, 2018 by Aura Dental. If you are thinking about getting dental implants in St John’s Wood, you probably have plenty of questions. This is an advanced procedure you can’t go back from, so it is worth making sure you’ve considered everything before going ahead. At Aura Dental, we are happy to answer any questions you may have about dental implants in St John’s Wood. Whether you are missing just one tooth or a whole set, dental implants in St John’s Wood can work for you. A single implant can replace a single tooth, or a few teeth in a row. If you have missing or failing teeth, a full arch can be replaced with a fixed bridge, supported by 4-6 implants. Can anyone have dental implants in St John’s Wood? 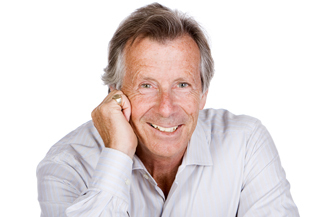 If you are considering dental implants, the best thing to do is come in for a consultation. We will take x-rays to assess whether your jawbone is dense enough to support the implants. We will also look at the general health of your mouth to see if you need any treatment prior to the implant procedure. If you have had dentures for a while, your jaw may have receded, making it unable to support the implants. In this case, the dentist will talk to you about bone grafts. It’s true that dental implants aren’t cheap, but keep in mind that this is a lifetime investment. Looked after carefully, your implants should last the rest of your life. At Aura Dental, we offer a monthly finance option so you can spread the cost. There are many reasons to invest in dental implants in St John’s Wood. They can do wonders for your self-confidence. Many people get embarrassed about their teeth, or lack of, as they get older. Dental implants can give you a beautiful smile to be proud of. Implants also have an advantage when it comes to eating. There are lots of food that denture wearers have to avoid, but if you have implants you will find you can eat whatever you like. Come in for a consultation if you want to find out more. This entry was posted in Dental implants on 21st November, 2018 by Aura Dental. Dental implants in St John’s Wood, with your trusty team at Aura Dental. You know you want them because nothing gives you your chew and your smile back like dental implants. But when it comes to the treatment, do you really know what you are letting yourself in for? People go on about how getting dental implants was more painful than childbirth, but the truth is that it’s no worse than getting a big filling, not even as bad as root canal therapy or an extraction. This is because we are working on your jawbone, where there are very few nerve endings, so there’s nothing much to convey feelings of pain to your brain. Getting work done on your teeth involves far more nerves. 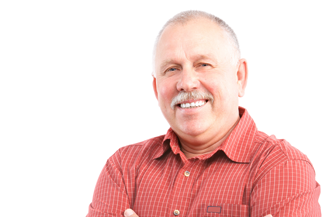 We can numb you very effectively for dental implants with a local anaesthetic. Afterwards, you will need no more than over-the-counter painkillers to get you through the next day or 2. It does take an hour or 2 to put in dental implants and we recognise that this can seem like a lifetime in the dentist’s chair, especially if you are one of the many people who have a dental phobia. That’s why we are very happy to give you either oral or intravenous sedation. Sedation deeply relaxes you so that you float through the treatment. Indeed, if you have IV sedation, you may well doze off and not wake up until it’s all over. You do need to be on a liquid diet while your mouth heals. After that, it’s a soft food diet while the dental implants in St John’s Wood integrate with your jawbone. This entry was posted in Dental implants on 26th October, 2018 by Aura Dental.